Meet the Passive House community – people changing Canada’s design and construction industry for the better. Behind the rigorous building-science is a fast-growing, passionate passive house community dedicated to creating healthier, sustainable buildings for all. 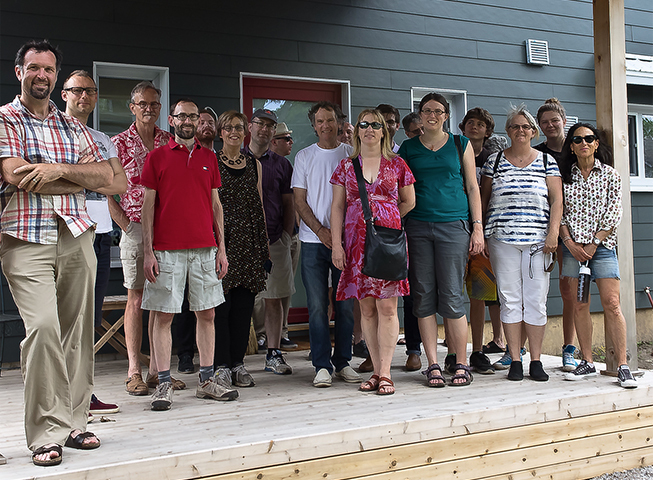 There are local Passive House groups across Canada who meet socially to share experiences of designing and building to the Passive House standard. You can find upcoming socials, as well as courses, trade shows, and seminars in your area on our events calendar. You can also find local experts in Certified Professionals and chat to people in your area in Groups. The job Board enables you to search and post employment opportunities in Passive House design and construction. Attend courses, seminars and socials across Canada throughout the year. Chat with local Passive House experts and residents and find what’s happening in you area. Search or post employment or RFP opportunities in Passive House design and construction. Get access to technical resources, discounts on courses and events and much more!